2015 CCST Science Fellow Shannon Muir, PhD, will be on hand to speak about her State Capitol experience. 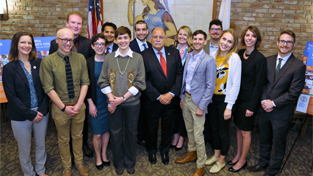 Muir was placed in the California State Senate Health Committee for her fellowship year, having received her PhD in Biomedical Sciences from UC San Diego. 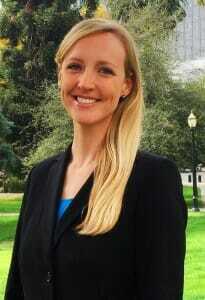 She is currently a Strategic Research Opportunities Analyst in the Office of Research Affairs at UC San Diego. 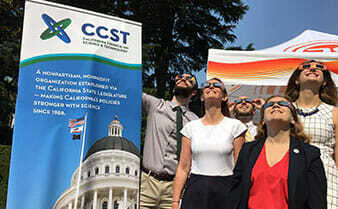 Being a CCST Science Fellow means undertaking a year of public service and government leadership training inside the policymaking heart of the California State Legislature. 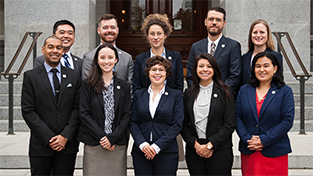 Each year, a new cohort of 10 PhD scientists undergo training from CCST and are then placed in a State Assembly or State Senate office to work as legislative staff — learning first-hand how policy decisions are made in the State of California.